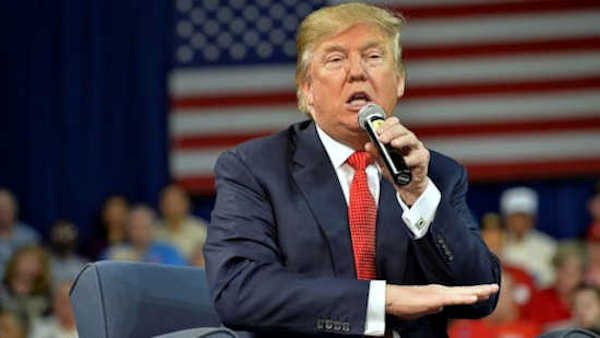 LONDON -- U.S. presidential candidate Donald Trump says he may have a poor relationship with Prime Minister David Cameron in light of the British leader's criticism of Trump's call for all Muslims to be temporarily banned from entering the United States. Cameron has refused to retract comments describing Trump's proposed Muslim ban as "divisive, stupid and wrong." But Cameron's spokesman, Dan York-Smith, told reporters that the prime minister was "committed to maintaining the special relationship" no matter who wins the presidential election. "Sadiq has spent his whole life fighting extremism, but Trump's remarks make that fight much harder for us all - it plays straight into the extremists' hands and makes both our countries less safe," his office said in a statement. The mayor's office rejected the idea, saying "ignorance is not the same thing as lack of intelligence."